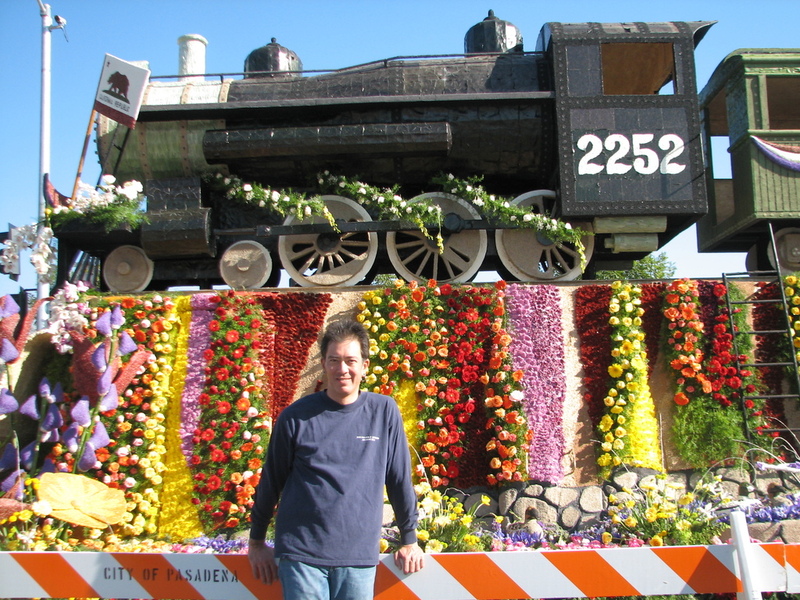 This afternoon, Susan and I walked over to see the Rose Parade floats. It’s usually amusing to see them close-up, and it was a very nice day. 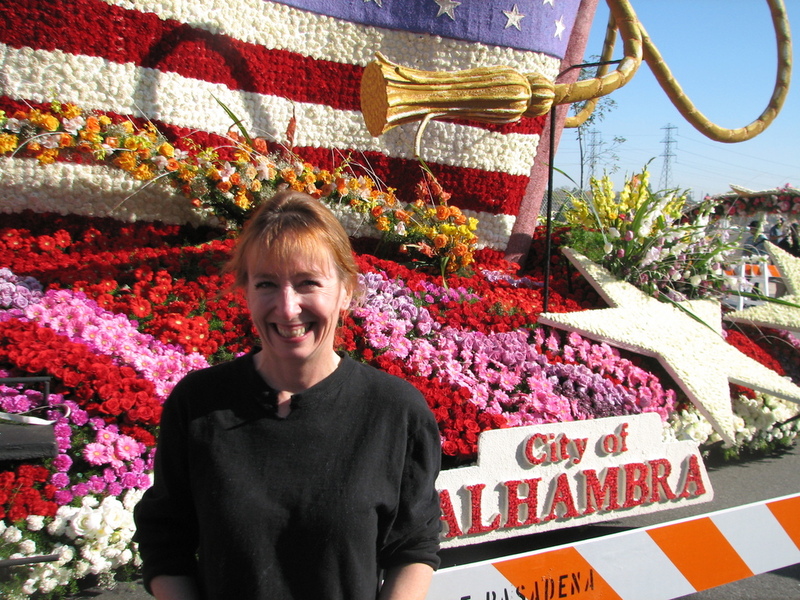 As a matter of hometown pride, Susan wanted her picture with the City of Alhambra float. I got mine with the train on the Roseville float. 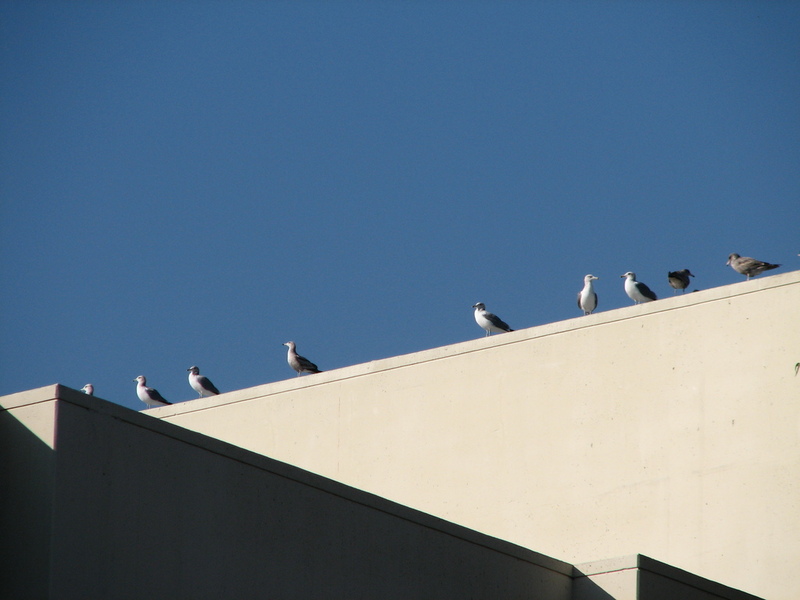 There were a lot of seagulls perched on top of the high school. We don’t usually get seagulls this far inland, but I think they were just waiting for everyone to leave so they could swoop down and gorge on all the spilled popcorn, half-eaten churros, and other edible detritus left by the crowd. 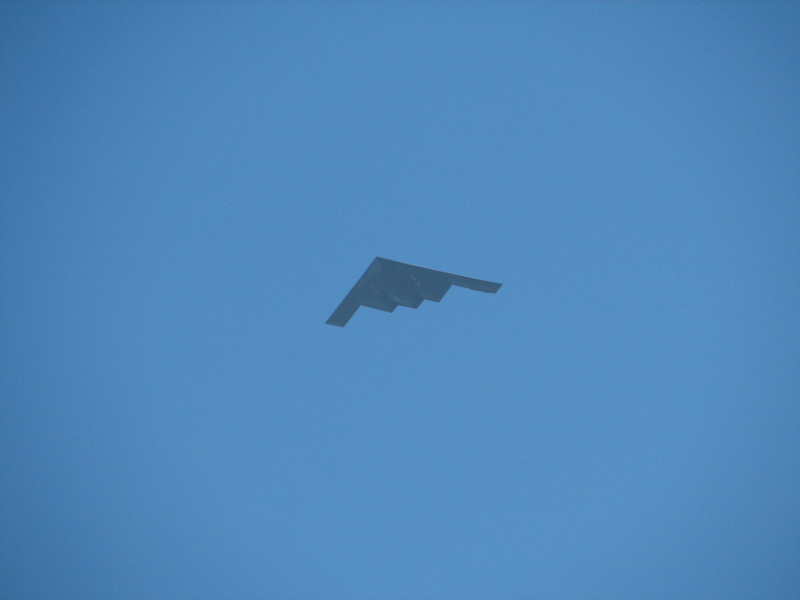 And finally, the Rose Bowl game was starting while we were there, so we got to see the B-2 bomber fly over us on its way to the stadium. Along with the bike ride this morning, and the martinis and steaks last night, this was easily the best start to a new year that I’ve ever had. It was a most excellent time. I’ve long been of the opinion that going riding on January 1st is a good way to start the year. 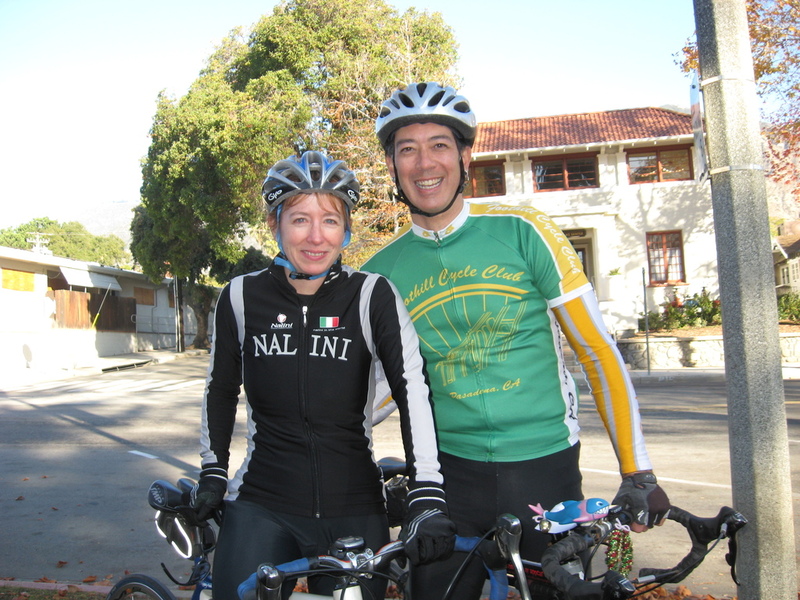 So today, Susan and I joined some of the other people from the bike club for a ride to start out the year. The route was one that Gene made up, and it didn’t really go anywhere in particular, but it was fun anyway. It was a bit chilly at first, but then it warmed up nicely. 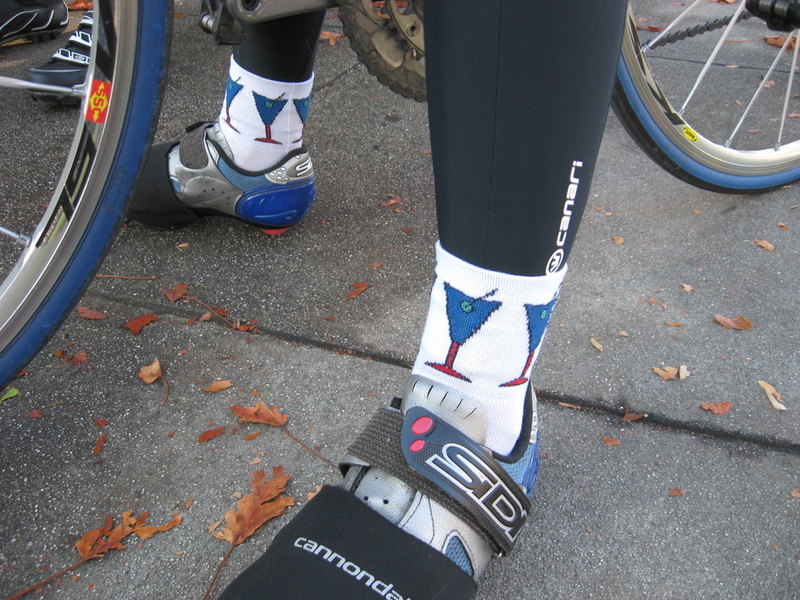 In honor of our adventure last night, Susan wore her martini socks. Getting out was a bit of a challenge, since we had to cross the Rose Parade route. And when we got back, the parade had just ended, and the whole area around my house was a zoo. 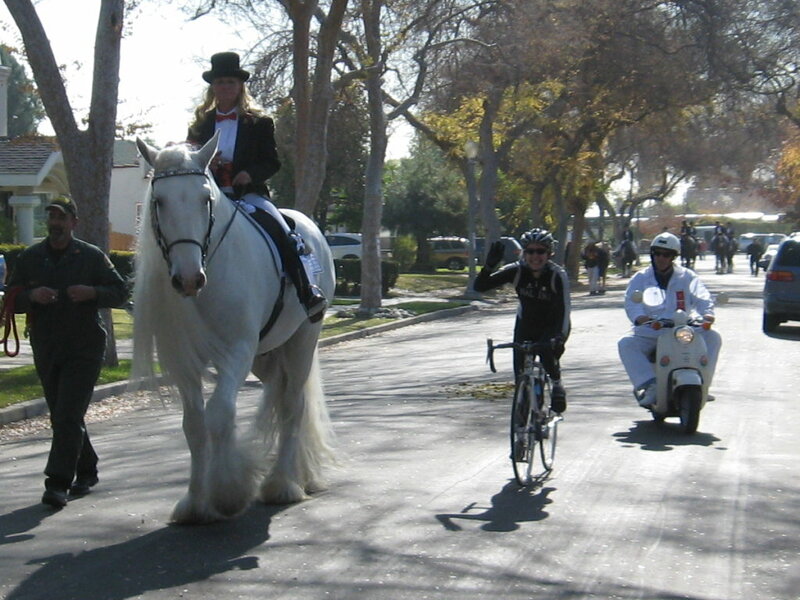 That was where we saw some of the horses walking up the street by my house. We stopped and visited with some of the neighbors before heading inside to get cleaned up and have lunch before going to see the Rose Parade floats.